In 2011, after spending a few years developing the idea for an exciting and innovative new building for astronomy education and public outreach, Klaus Tschira, Managing Director of the Klaus Tschira Stiftung (KTS) and the Heidelberg Institute for Theoretical Studies (HITS), started discussing options with the European Southern Observatory for hosting the facility. 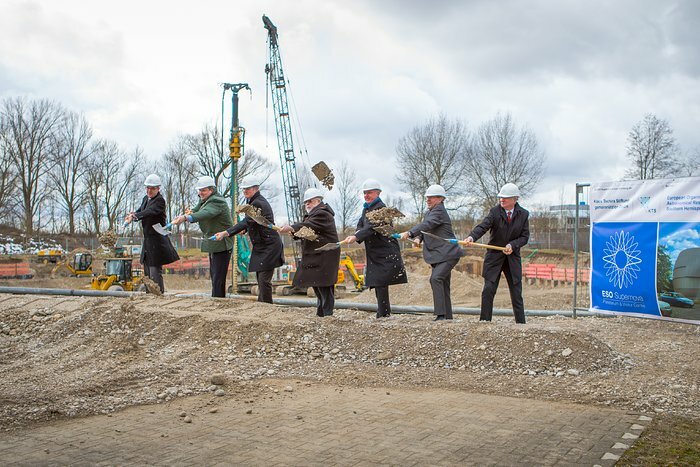 In December 2013, ESO officially accepted the donation of such a facility. In spring 2014, a team of ESO photographers embarked on an Ultra HD Expedition to ESO’s observatories in Chile. During this trip they created a wide range of content, including time-lapses, stills and panormas in ultra high-definition and fulldome format. This footage has been incorporated into the ESO Supernova’s fulldome planetarium shows. In summer 2014, ESO began producing high-quality material for use in the fulldome planetarium shows. This material was immediately available for free to other planetariums. In early 2015 construction work on the ESO Supernova building began at ESO Headquarters. 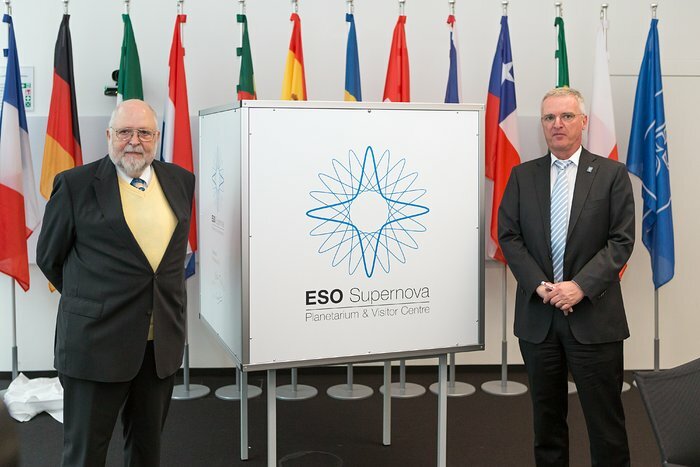 The ESO Supernova website was launched at the same time. In summer 2015, ESO released its first fulldome planetarium show — From Earth to the Universe. This inspirational movie also became the first ever full-length fulldome planetarium movie freely available for anybody to download and use. 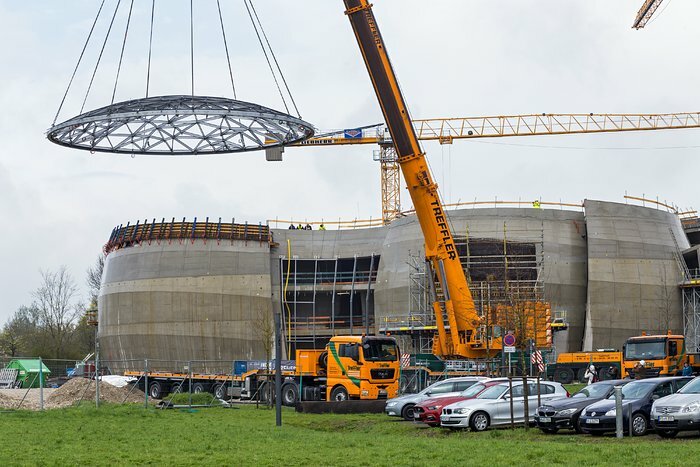 In April 2016 the impressive Star-roof was installed over The Void in the ESO Supernova. The roof, which weighs almost 30 tonnes, consists of glass panels set into a metal framework made of triangular sections — 262 of them, arranged to artistically represent some of the constellations of the southern sky. After just over a year of construction work, the shell of the centre was finished in summer 2016. By autumn 2016, ESO had created a range of fulldome products, including clips, panoramas, and entire shows, which are all available to download for free. 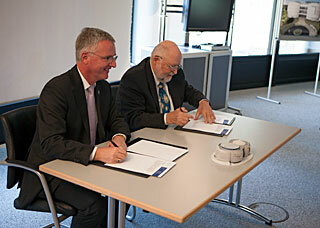 In October 2016, computer graphics company Evans & Sutherland signed a three year partnership with ESO as a Constellation Partner in the ESO Supernova Planetarium & Visitor Centre. Evans & Sutherland specialises in world-leading planetarium system, Digistar, which is used extensively in the ESO Supernova planetarium. In April 2017, ESO and its partners launched the Data2Dome Planetarium System, which allows planetariums around the world to show ESO, ESA and NASA images and videos, fulldome content, 3D models, music, and the latest press releases and blogs from astronomy organisations worldwide. 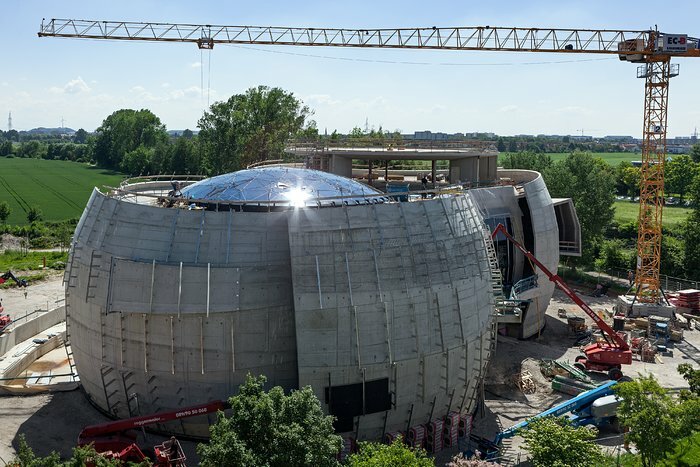 In the months leading up to April 2018, the exhibition was installed and the final touches were put into all aspects of the ESO Supernova. The ESO Supernova is now ready to welcome visitors through its doors. 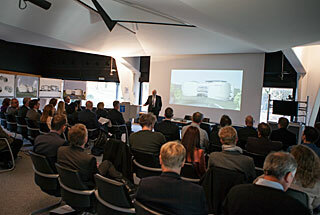 More images of the construction and related events are available in the ESO image archive. More information, credits and downloads are available here.